The Baker Boys are a premium, customisable 3-14 piece band specialising in high-energy music for festivals, weddings, corporate events and private functions - at a sensible price. They've been setting the industry standard for 10 years and pride themselves on filling dance floors. Weddings and events are about celebration and The Baker Boys love bringing energy and fun to every event they perform - "There's no better feeling than seeing the look of love and gratitude on a couples face when all their best friends and family join them on the dance floor." They host live showcases, so couples can preview the band before booking - showcases also make for a great date night or fun night out with friends before the big day! The band size is customisable, so everyone can find the right fit for their event and budget. 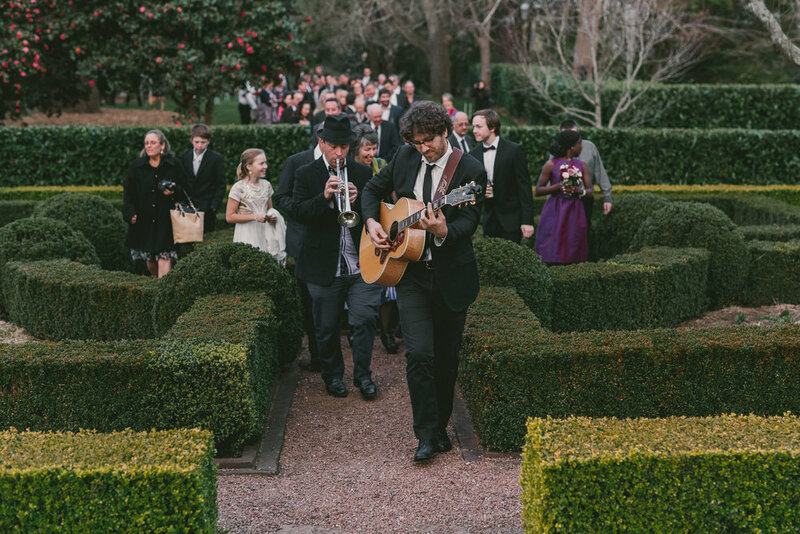 Plus, the musicians are talented and professional - they've toured with artists like Crowded House, Gotye, Kimbra, and Cat Empire. Great choice, you'll love the Baker Boys Band! Thank you for getting in touch with the Baker Boys Band. We have passed on your details and they will be in touch with you shortly. Join the conversation for the latest news and updates from Australia and New Zealand's premier gay wedding destination. Thank you for subscribing to Groom + Guy. We will keep you up to date with what's happened on the Chronicles and what's to come. © 2018 GROOM + GUY. ALL RIGHTS RESERVED.